IJOY TRC-Coil is designed for Tornado Hero. It is 0.3ohm coil and supports 40 - 80 watts. 5pcs each pack. Get it as a spare part. 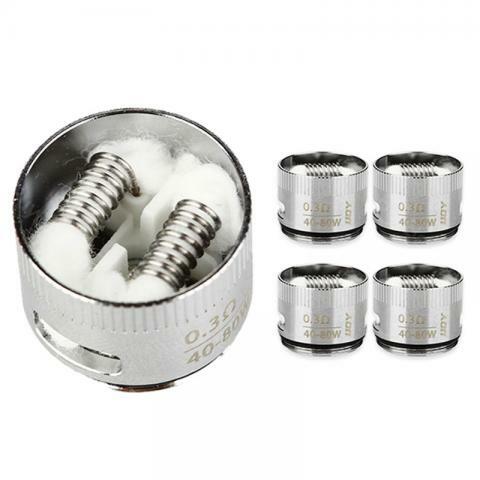 5 piece IJOY Tornado Hero Replacement TRC-Coils designed for Tornado Hero Tank. These 0.3ohm coils support 40 - 80 watts and come in a pack of 5 so perfect as spares just in case! • It's for IJOY Tornado Hero. Order delivered on time. And it was great. IJOY Tornado Hero TRC-Coil is a 5pcs/pack coil. It is designed for Tornado Hero Tank. These 0.3ohm coils support 40 - 80 watts.